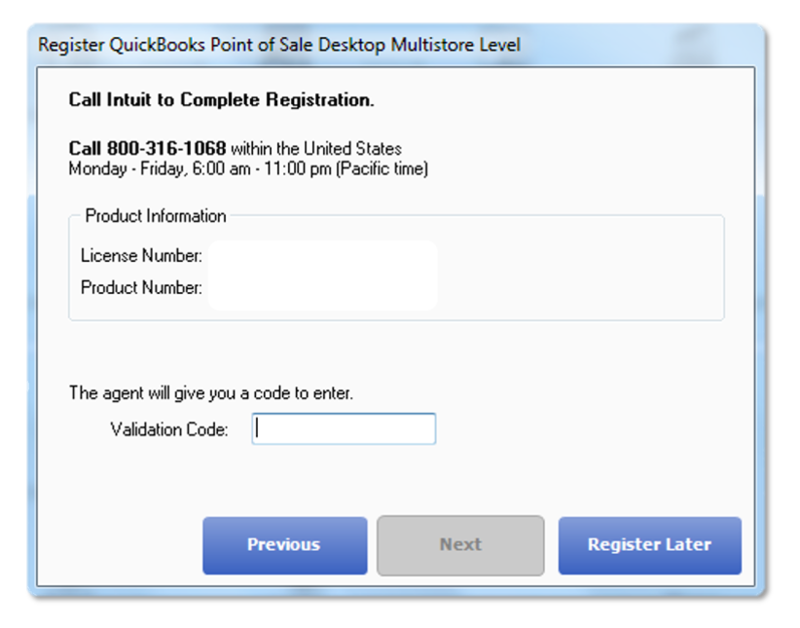 This article is part of our content on Setting up QuickBooks Desktop Point of Sale. Register QuickBooks Desktop Point of Sale to open or create company files. 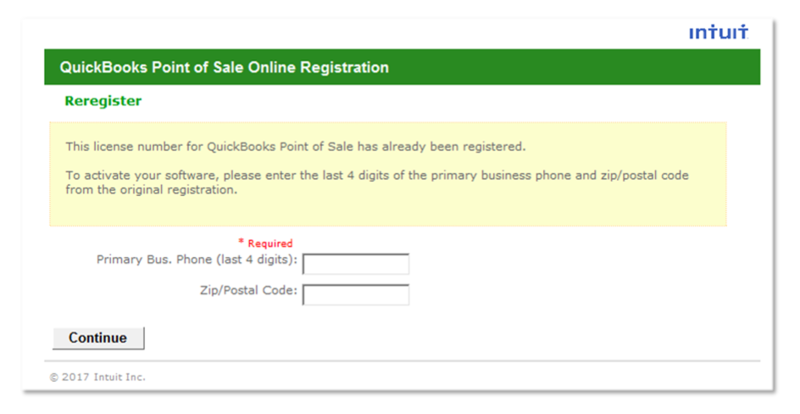 You’ll need to register every time you install QuickBooks Desktop Point of Sale on any computer. That means that if you have multiple copies of QuickBooks Desktop Point of Sale, you must register each copy, and that if you install QuickBooks Desktop Point of Sale on a new computer, you need to register again. If you are connected to the Internet, an online registration form is displayed. Enter the last 4- digits of your business phone number and your zip code. Note: If purchased from a retail store, register by phone. If you are not connected to the Internet, the phone registration window is displayed. Follow the instructions on the Register QuickBooks dialog box. When prompted to verify your information, you should make sure to provide the same information that you gave at the time of purchase. If it doesn't match perfectly, it won't be accepted. If you have a technical issue like a blank screen or an error message, try temporarily disabling your antivirus software, as it may be interfering with the registration process. Finally, if you are not able to register on your own, you can contact us to register over the phone. In keeping with Intuit's discontinuation plan for older products, discontinued products cannot be registered for the first time. You may re-register discontinued products if they have ever been registered before on any computer and are being reinstalled. If you do, you will need to call us to receive a validation code. However, assisted support for discontinued products is no longer available. If you have a discontinued product, we recommend that you upgrade your version of QuickBooks Desktop Point of Sale.